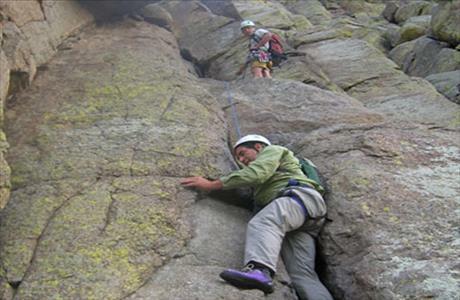 Devil's Tower National Monument is a most improbable geological rock formation, sticking up a thousand feet in the air above the surrounding valley like some giant, prehistoric tree-stump. 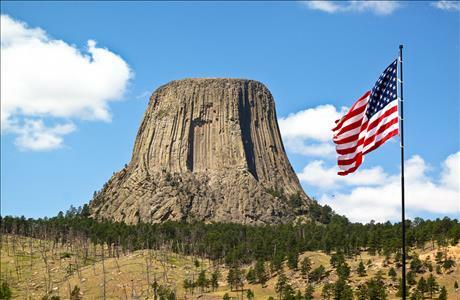 Steven Speilberg used Devil's Tower National Monument as backdrop to his blockbuster movie Close Encounters of the Third Kind. Yearly, thousands of tourists come to gawk at its unusual shape. 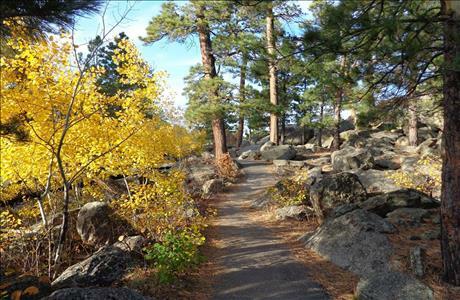 President Theodore Roosevelt proclaimed Devil's Tower the first National Monument in 1906. 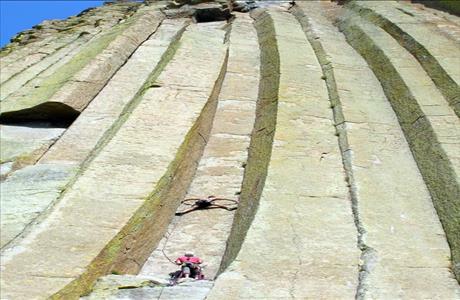 This nearly vertical monolith rises 1,267 feet above the meandering Belle Fourche River. Once hidden beneath the earth's surface, erosion has stripped away the softer rock layers revealing the hard rock tower below. 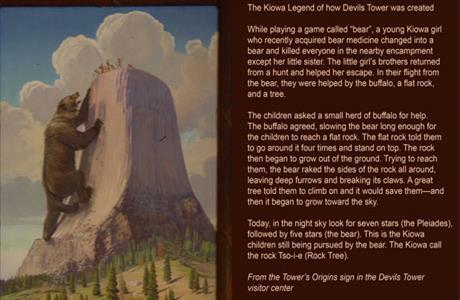 Known by several northern plains tribes as Bear's Lodge, Devil's Tower is a sacred site of worship for many American Indians. 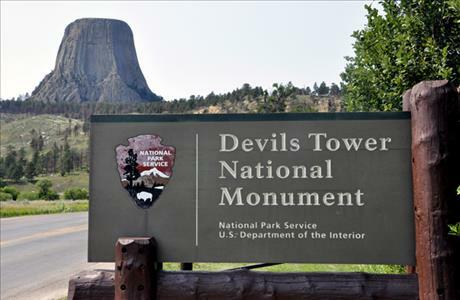 An entrance fee is required to enter Devil's Tower. The pass is good for 7 days. 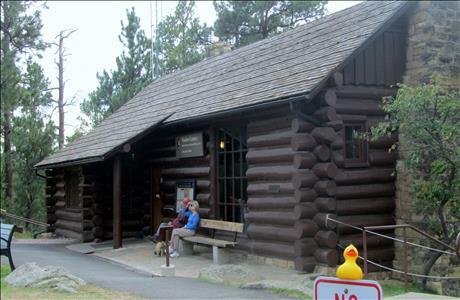 Visitor Center Closes at 7pm during the peak.